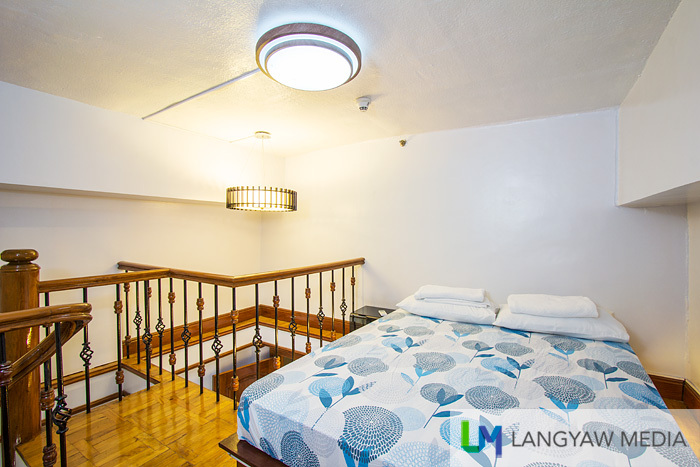 Looking for a comfortable place to stay in Makati? Other than the usual hotels, hostels and inns, the serviced apartments sector is making headway. The Alcoves, an online only serviced apartments provider offers spaces in prime locations in this city that promises comfort, safety and satisfaction. It’s spaces are scattered around several prime condominiums in the city. I got invited by The Alcoves to stay at one of their spaces, a four bedroom penthouse within Ayala Center and here are five reasons why you should check them out too. The 4 bedroom, loft type unit penthouse that I got to stay in is located at the top floor of BSA Condominium. I love the interiors. It’s well designed, modern with a familial touch. Nice wooden flooring and high ceilings. It’s never uptight. The tree artwork at one of the walls where the LCD TV is set provides a playful touch. Despite the openness of most of the spaces, there are still nooks where you can just lounge and read a book. 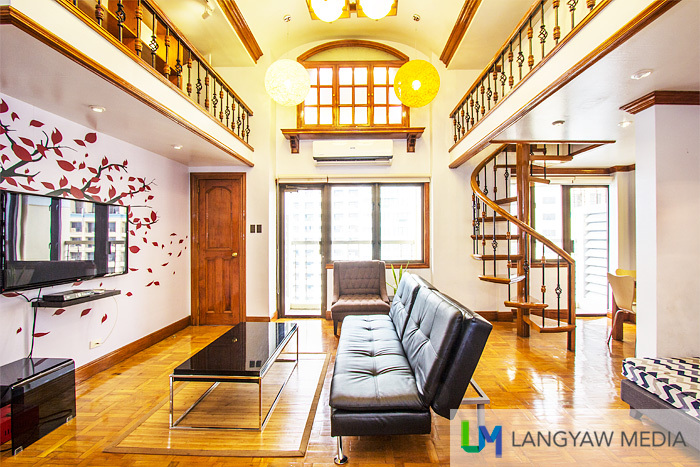 The location is just a stone’s throw away from Greenbelt 1 and 2 as well as The Residences. There are several restaurants, 24 hour fastfood joints/convenience stores and a chinese restaurant that serves delectable food just outside the condominium. One of two loft type bedrooms with one big bed. The four bedrooms: 3 doubles and 1 double deck with two at the loft (via two spiral staircasese), are comfortable and three toilets with two having bath facilities. A well stocked kitchen: plates, glasses and other utensils with microwave and stove enables one to cook and stock products and food at the refrigerator. The entire unit is airconditioned with fast wifi. There’s a large LCD television, a homey yet small dining area with a beautiful wooden table. There’s no need to bring in soap and shampoo as these are well stocked. I do like the well appointed lighting and modern furniture with one, a sofa bed, can be used if there are additional people. If you’re a non local in Makati? No problem. They actually have a folder that gives you important information of what to do, where to go and such and such. In that way, you get an idea about the area as well as where to head to when you want to eat, buy something or go to the mall. 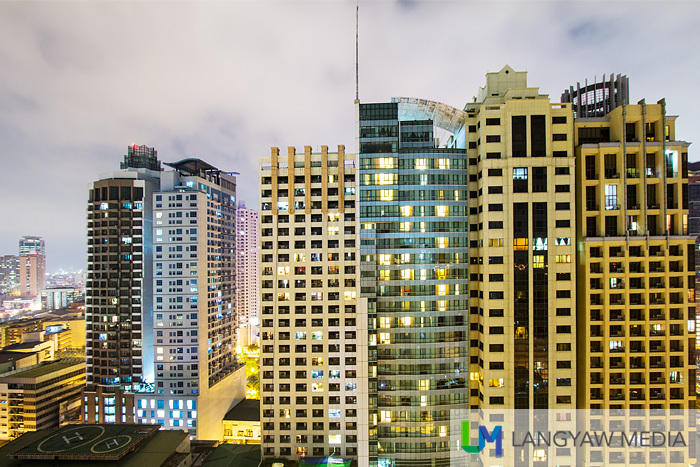 As the units are situated in premium condominiums, you are assured of security. Entrance to the unit itself is through a programmable door lock that the owners provide you upon check in. Just don’t forget the digits, though. This is one of the things that I really loved at the penthouse unit. It’s high up there and thus, stunning views of the surrounding buildings. At night, the citylights are interesting and one way to enjoy the view? Bring some bottles of beer or a glass of wine, pull a chair at the veranda and just gaze out. Rafael, one of the sibling owners who greeted me is quite friendly and made sure that I got to be familiar with the place. After touring me around and showing me the different sections of the unit as well as pointing out the info folder, he did tell me that he’ll be at my service and can contact him anytime. Well, that’s a wonderful personal touch!